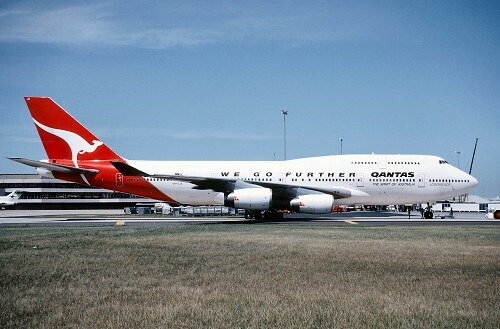 16–17 August 1989: On its delivery flight, Qantas’ first Boeing 747-438 Longreach airliner, VH-OJA, City of Canberra, was flown by Captain David Massey-Green from London Heathrow Airport, England (IATA: LHR, ICAO: EGLL) to Sydney Kingsford Smith Airport, Australia (IATA: SYD, ICAO: YSSY), non-stop. 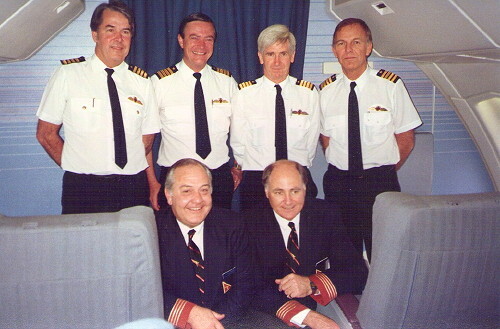 Three other senior Qantas captains, Ray Heiniger, George Lindeman and Rob Greenop completed the flight deck crew. Boeing Training Captain Chet Chester was also aboard. 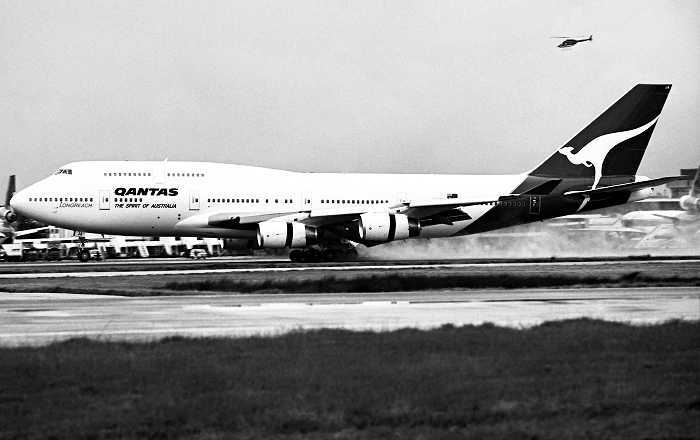 VH-OJA was the first of four Boeing 747-400 airliners ordered by Qantas more than two years earlier. The company named these “Longreach” both to emphasize their very long range capabilities, but also as a commemoration of the first scheduled passenger flight of the Queensland and Northern Territories Aerial Services Ltd. at Longreach, Queensland, 2 November 1922. Qantas named the new airliner City of Canberra. The new 747, the twelfth -400 built, with U.S. registration N6064P, it made its first flight at Seattle with Boeing’s test pilots on 3 July 1989. It was turned over to Qantas on 9 August. Planning for the record setting flight began almost as soon as the airplane had been ordered. Although the airplane was complete and ready to enter passenger service on arrival at Sydney, certain special arrangements were made. 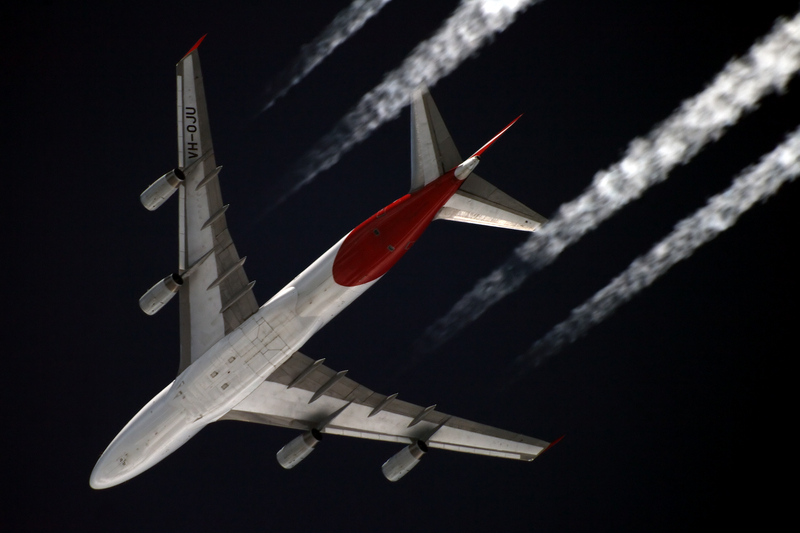 Shell Germany refined 60,000 gallons (227,000 liters) of a special high-density jet fuel and delivered it to Heathrow. Rolls-Royce, manufacturer of the RB211-524G high-bypass turbofan engines, had agreed to specially select four engines to be installed on VH-OJA at the Boeing plant at Everett, Washington. On the morning of the flight, City of Canberra was towed to the Hold Short position for Runway 28 Right (28R) so as not to use any of the precious fuel while taxiing from the terminal. Once there, its fuel tanks were filled to overflow. The airport fire department stood by as the excess fuel ran out of the tank vents. 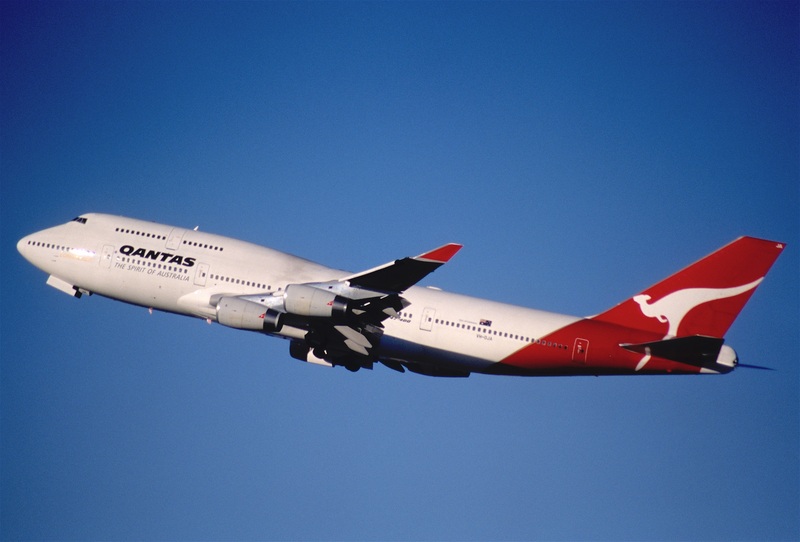 In the passenger cabin were two Flight Service Directors, FSD David Cohen and FSD Mal Callender, and eighteen passengers including senior executives from Qantas, Boeing, Shell as well as representatives of the Australian news media. 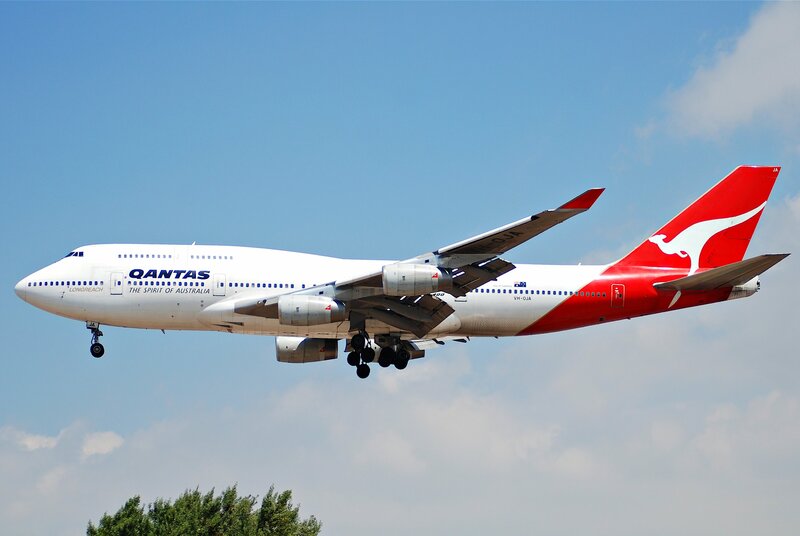 The flight crew planned the engine start to allow for the mandatory three-minute warm-up and at approximately 0840 local, called the Tower, using the call sign Qantas 7441, and said that they were ready for takeoff. After climbing to altitude they began the cruise portion of the flight at Flight Level 330 (33,000 feet or 10,058 meters). As fuel was burned off the airliner gradually climbed higher for more efficiency, eventually reaching a maximum altitude of 45,100 feet (13,746.5 meters) by the time they had reached the west coast of Australia. 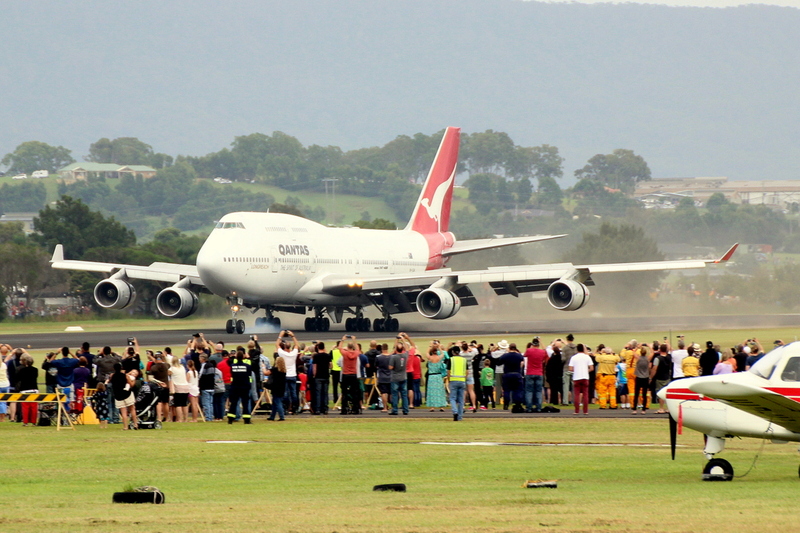 QF7441 touched down at Sydney Airport at 2:19 p.m, local time (0419 UTC). City of Canberra, VH-OJA, remained in Qantas service until 8 March 2015. The airliner was withdrawn from service and donated to the Historical Aircraft Restoration Society Museum at Illawara Regional Airport (YWOL), New South Wales. Its distance record stood until 10 November 1995 when another Boeing airliner, a 777-200LR with Captain Suzanna Darcy-Henneman in command, set a new distance record. The Boeing 747-400 airliner can carry between 416 and 660 passengers, depending on configuration. It is 231 feet, 10 inches (70.6 meters) long with a wingspan of 211 feet, 5 inches (64.4 meters) and overall height of 63 feet, 8 inches (19.4 meters). Empty weight is 394,100 pounds (178,800 kilograms). Maximum takeoff weight (MTOW) is 875,000 pounds (396,890 kilograms). While the prototype was powered by four Pratt and Whitney PW4056 turbofan engines, production airplanes could be ordered with PW4062, General Electric CF6 or Rolls-Royce RB211 engines, providing thrust ranging from 59,500 to 63,300 pounds. The –400 has a cruise speed of 0.85 Mach (567 miles per hour, 912 kilometers per hour) and maximum speed of 0.92 Mach (614 miles per hour, 988 kilometers hour). Maximum range at maximum payload weight is 7,260 nautical miles (13,450 kilometers).